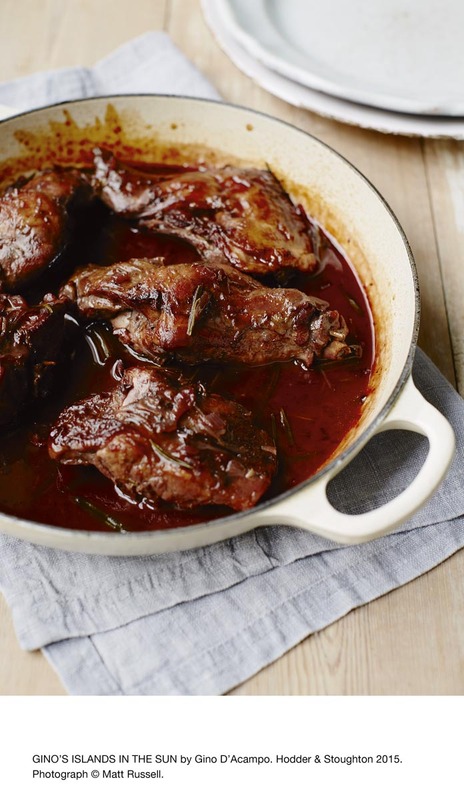 Are you looking for a delicious rabbit recipe with a difference? If you are, you’ve found it! Here’s my rabbit braised in mirto liqueur and red wine for you to enjoy. 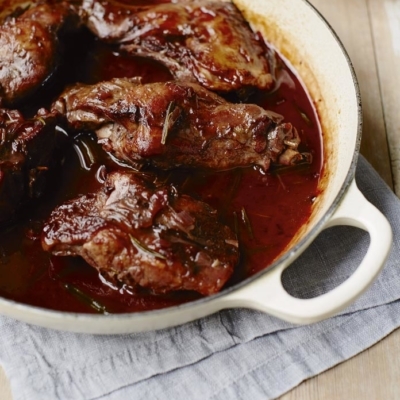 Feast your eyes on the finest rabbit braised in mirto liqueur and red wine! It’s straightforward and fun to make this great dish. Simply follow the instructions below and get the perfect result. Put all the ingredients for the marinade in a shallow, non-metallic dish. Add the rabbit and stir to combine. Cover with cling film and refrigerate for 12–24 hours. About 1 hour before cooking, take the dish out of the fridge. Remove the rabbit from the marinade using a slotted spoon and drain well on kitchen paper. Pat the meat dry with more kitchen paper. Put the flour on a large plate and season with salt and pepper. Dip the rabbit in the seasoned flour to coat, shake off any excess and set aside. Reserve the marinade. Heat the oil and butter in a large flameproof casserole over a medium to high heat. When very hot, fry the rabbit in 2 batches until well browned. Transfer to a large plate using a slotted spoon and set aside. Reduce the heat to medium. Add the onion and celery to the casserole and fry for 5 minutes. Increase the heat and pour in the wine. Bring to the boil and let it bubble rapidly for 1–2 minutes. Add the reserved marinade and the rosemary and cook for 5 minutes or until reduced by half. Pour in the stock, season with salt and pepper and bring to the boil. Return the rabbit and its juices to the casserole and bring to the boil. Reduce the heat to low, cover loosely with foil and simmer gently for 2½ hours, turning occasionally. Remove the foil and cook for a further 10 minutes, then transfer the meat to a large plate. Keep warm. Increase the heat to high and boil the sauce for about 30 minutes or until reduced by half. Season with salt and pepper. Reduce the heat and return the rabbit to the pan for 1–2 minutes before serving. 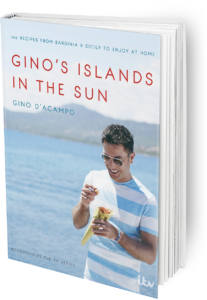 Once you’re done, simply sit back and enjoy your rabbit braised in mirto liqueur and red wine and don’t forget to check out other great authentic Italian recipes including great antipasti recipes, Italian pasta recipes, Italian soup recipes, Italian beef dishes and authentic pizza recipes.